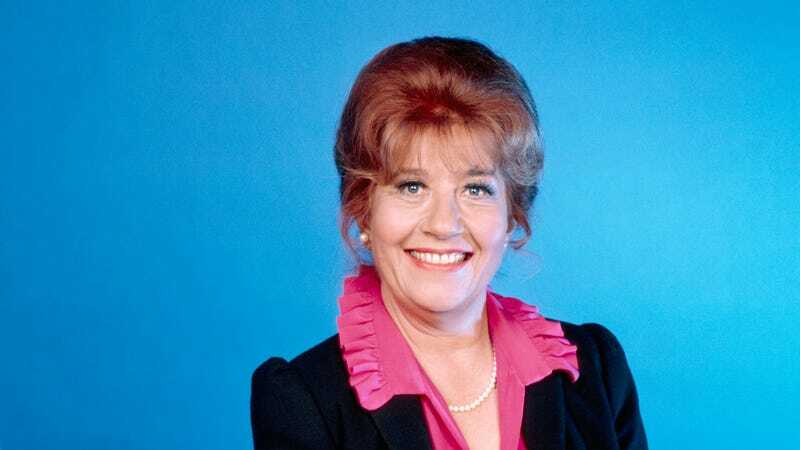 As reported by Deadline, Charlotte Rae—the woman who played housemother Mrs. Garrett on The Facts Of Life—died last night at her home in Los Angeles. She had revealed she was undergoing treatment for pancreatic cancer last year, but an official cause of death has not been revealed. Rae was 92. Born in Wisconsin in 1926, Rae worked with the Wauwatosa Children’s Theatre as a kid and began apprenticing with a professional theater company as a teenager. She briefly attended Northwestern University, where she met her future Facts Of Life replacement Cloris Leachman, and in the ‘40s she moved to New York and launched a successful Broadway career. She also began appearing in TV shows around this time, with her first roles being on variety shows and anthology dramas (which were presumably an easy segue from her theatrical work). Rae once said that she originally envisioned herself as a “serious actor” and that she’d never get into comedy, but that began to change in the ‘60s when she got her first big TV break as Sylvia Schnauzer on Car 54, Where Are You? with Al Lewis. After that, she had roles on The Love Boat, The Partridge Family, Murder She Wrote, and All In The Family, but she made a significant impression on legendary TV producer Norman Lear when she appeared on his ‘70s sitcom Hot l Baltimore. When NBC approached Lear about producing Diff’rent Strokes, he knew he wanted Rae to play housekeeper Edna Garrett opposite Conrad Bain. Mrs. Garrett proved so popular that Rae herself reportedly suggested that NBC should consider giving her a spin-off, which became The Facts Of Life in 1979—easily Charlotte Rae’s most famous role. On that show, Rae played the housemother to a group of young girls at a boarding school, acting as a role model and counselor whenever dramatic, coming-of-age-type issues popped up. She left the show in 1986, though it continued on for two seasons without her (Cloris Leachman, as previously mentioned, took over her role as the girls’ housemother). After The Facts Of Life, Rae continued acting and appeared in a wide range of movies and TV shows, including ER, Tom And Jerry: The Movie, and Don’t Mess With The Zohan. In an inadvertent testament to the impact her work on The Facts Of Life had on the world of TV, Sony had just begun developing a reboot of the series days before Rae’s death.